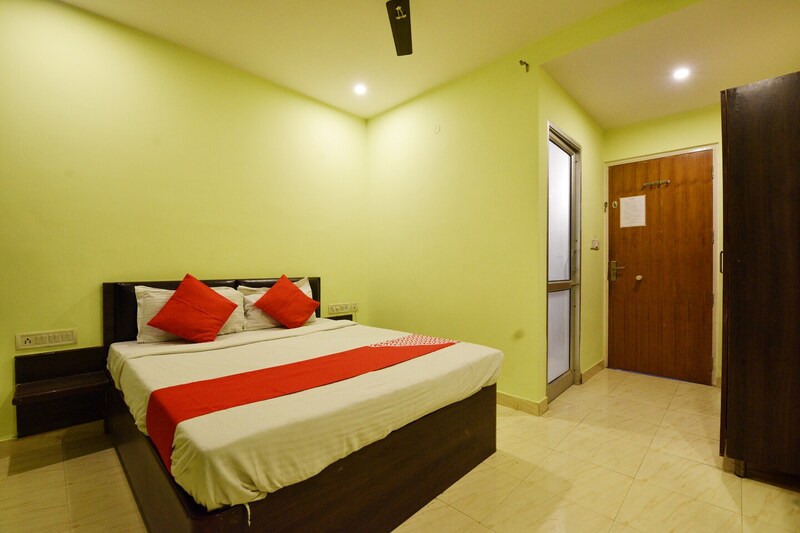 With a simple external structure, Hotel Apple 9 is a pocket-friendly hotel that has a simple and sweet interior decor and a comfortable ambience. The bedrooms at the hotel have light pastel-colored walls and dark woof furnishings, giving the rooms a warm and bright ambience. An in-house restaurant, a dining area, a conference room and a banquet hall are available at the hotel for the guests to avail during their stay. The hotel provides its guests with free Wi-Fi and power backup, thereby enabling them to remain connected with the social world and not miss any update. Other amenities offered by the hotel are a geyser, a mini fridge, a room heater, an elevator and a parking facility.